Let’s face it, while the bleeding edge cards are certainly the most impressive in performance, the £150 to £250 pounds market segment is generally the one representing the best value to gamer’s. Both AMD and Nvidia are hard at working to win the hearts and minds of gamer’s who’re looking for an upgrade to their current GPU, but won’t break the bank. The end result is great news for gamer’s who’re on such a budget and looking for awesome 1080P performance – both the GTX 760 and the R9 280 are capable of running virtually any title at the highest settings at 1080P, and at the magic 60 fps. 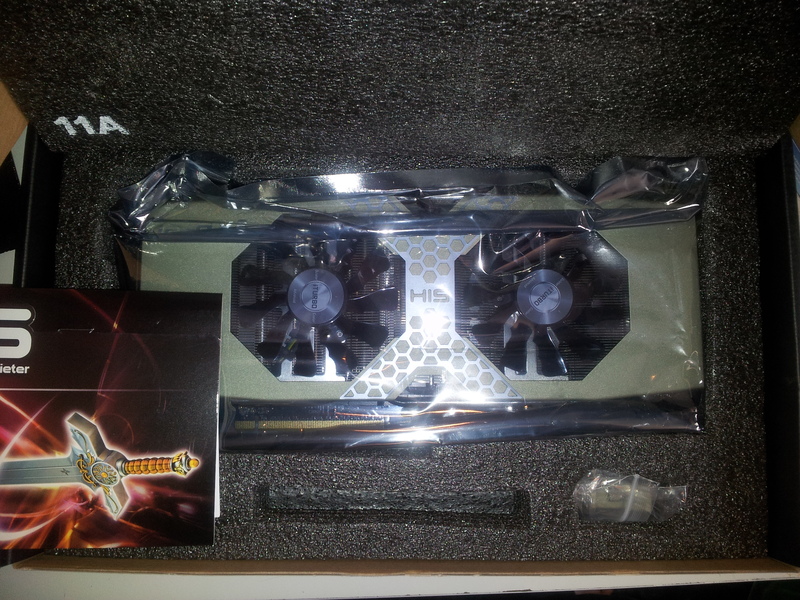 If you’re interested in reading a review on the Tonga based Radeon R9 285 versus the 280 and GTX 760, click here. AMD’s Radeon R9 280 is pretty much an identical card to their previous HD 7950 Boost, still using the same 28nm Tahiti architecture, comprised of about 2.3 billion transistors. You’ll get access to 1,792 stream processors, 112 Texture Units and 32 ROPS. The difference here is a mild increase in the clock speed of the core, but we’re still running 3GB of GDDR5 RAM, at 1.25GHZ (5GHZ effective) on a 384 Bit Bus. Meaning 933MHZ for the core (although this particular model has a very modest overclock, 953MHZ) and a rather health 240GB/s memory bandwidth. Nvidia’s GTX 760 meanwhile uses the GK104 architecture, and sports fewer stream processors, only 1,152, fewer Texture Mapping Units at only 96 but still uses 32 ROPS. Clock speeds are higher, with a max boost of 1,033 MHZ for the core, and the RAM running at 1.5 GHZ (6GHZ effective), but uses a slower 256-bit bus. Unfortunately, this means we’re left with slightly less memory bandwidth, at only 192GB/s and the card only carries 2GB of RAM, in place of the 3GB of the R9 280. There’s an argument to be made that 2GB is enough for mid range cards, but since AMD manage to pack additional RAM on, it’s a pity Nvidia don’t follow suit. I leveled a similar criticism towards the GeForce GTX 780 Ti’s 3GB of frame buffer compared to the 4GB offered on say the R9 290X. For our review, we’re using EVGA’s GTX 760, which sports Nvidia’s reference cooler but with the slight addition of EVGA Sticker at the top (which I’ll admit, I quite like). The card demands the sacrifice of both a 6 and 8 pin PCI-E power connector and features four output ports for video. DVI-D, DVI-I, Display Port and of course the obligatory HDMI. The card is well packaged, and sports rubber covers over both the SLI connectors and PCI-E connector (for the motherboard). A poster, sticker, driver CD and other bits and bobs are included – but no games. 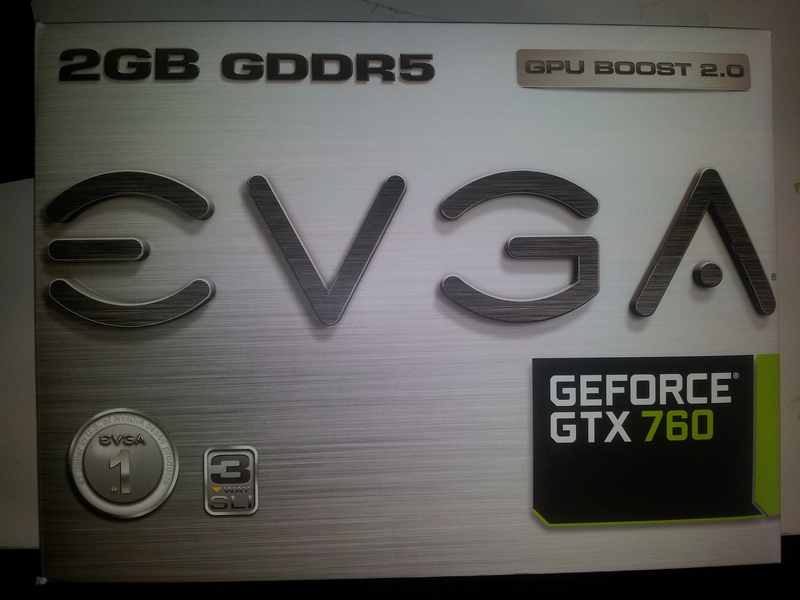 Overall, as expected of EVGA the build quality is solid and feels reliable. Moving on to AMD’s Radeon R9 280, we’re using the HIS R9 280 ICEQ X2. At the cards rear with have a DVI port, two mini display ports and finally a HDMI connection. The card asks for the same PSU sacrifice as the GTX 760, with a 8 and a 6 pin power connector waiting. The cooler is, well, massive. It’s actually longer than EVGA GTX 780 Ti SuperClock normally sitting in the rig, and considerably longer than the printed circuit of the GPU itself. It uses this space to squeeze in five heat pipes, and on the front of the cooler sits two GPU fans. 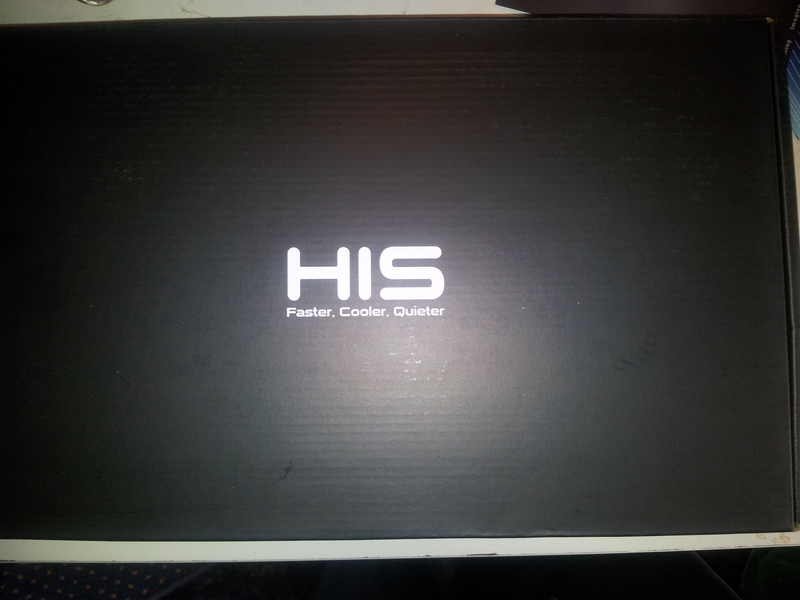 There are few who’ll look at this card and not be impressed by the look of the cooler. The system we used Radeon R7 250 was our standard test setup. An Intel I-7 Haswell 4770K (slightly overclocked to 4.4GHZ), 16GB DDR3 memory (running at 1750MHZ), Windows 8.1 installed on an SSD. For drivers we’re using the latest AMD Drivers at this time, which are the Catalyst 14.6 Release. 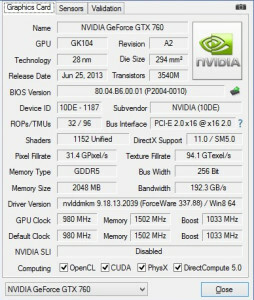 For Nvidia, we’re also running their latest drivers, R337.88. All of the games were using the latest versions (auto patched via their distribution platform (for example Steam). For testing we’ll be using both 1080P which we feel is the best testing environment for both cards. Certainly both cards are capable of hitting 60FPS in pretty much all of the titles listed here at 1080P, but with SSAA turned down in some games. The cards could run 1440P at a push, but if you’re truly aiming for 1440P, you’ll likely find the cards falling a little short in a few titles, but can manage a respectable level of performance. The drivers for each card were performed cleanly, and the tests ran a couple of times. The best results for each card were then used. For Tomb Raider on the PC, we’ll be running with everything at the highest settings and changing purely the resolution and TressFX. The story is pretty familiar with Tomb Raider, 1080P with everything is possible, but if you want to run at 1440P then you’ll have a few concessions to make. 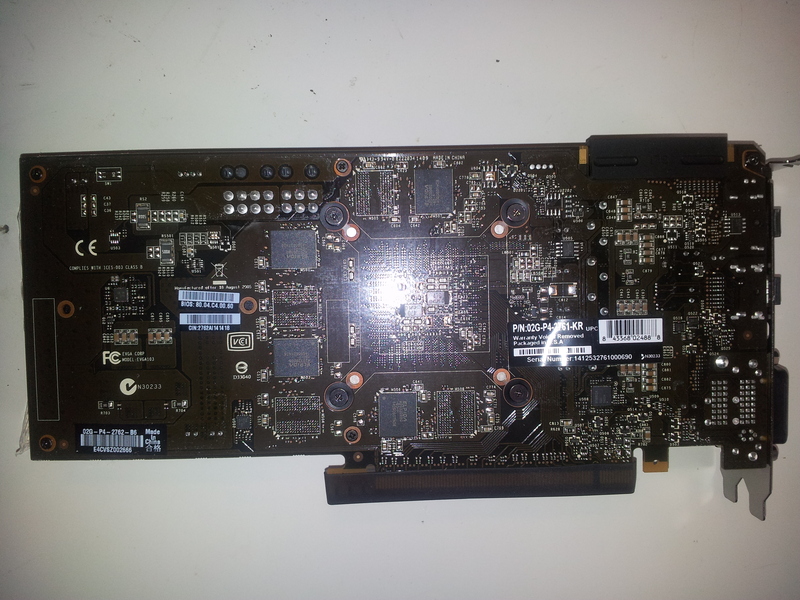 Nvidia Geforce GTX 760: 1080P is completely destroyed by the card, and you might as well enable TressFX. At 1080P with TressFX and FXAA you’ll hit 42.3 FPS, which is more than enough to play the title. You’ll probably not want to enable SSAA on the game however, it’s extremely taxing and eats memory alive. You’d likely be better off forcing a different type of Anti-Aliasing in Nvidia control panel, or just sticking with FXAA. If you choose to disable TressFX you’ll be hitting 66.1 FPS. AMD Radeon R9 280: AMD’s starts out strongly here, running with TressFX enabled, at 1080P and all other settings cranked up to the highest (but using FXAA) we see an almost 10FPS difference between it and Nvidia’s card. The R9 280 hits 51.4 frames per second with the tressFX technology. Disabling TressFX of course produces a large gain in performance, 75FPS. We’ll start things out as usual at 1080P, max settings, with the only adjustment being the games level of Anti-Aliasing. GeForce GTX 760: It’s pretty impressive how the card manages to rip through Sleeping Dogs even at 1080P with Extreme Levels of Anti-Aliasing. 39.6 FPS isn’t too bad at all, but I suspect that if you’re looking for smooth gameplay (particularly when things become truly busy) it might be an idea to drop down the AA levels a little. Extreme AA is particularly punishing on the title. 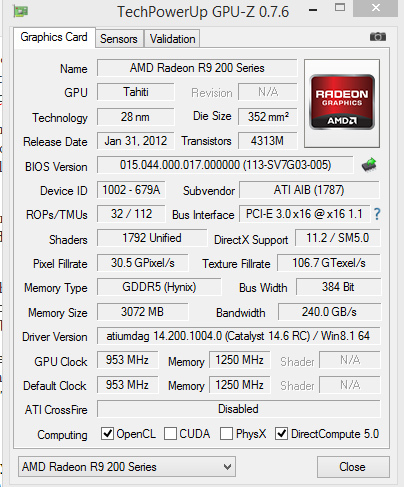 AMD R9 280: AMD’s card manages 43.7FPS, once again with the ‘extreme’ levels of AA enabled at 1080P. It does however manage a much nicer min frame rate, hitting 30.5 as opposed to the 41.1 FPS of the GTX 760. AMD’s card wins here, but the difference is fairly subtle. For Crysis 3 we use a manual run through of the rather infamous ‘Welcome to the Jungle’ level. This level features lots of grass and vegetation, and forces the GPU to render water effects, impressive lighting along with urban elements such as rusty trains and buildings. Oh and lots of explosions. Crysis 3 was played at the highest graphics settings, but FXAA was selected. The only thing changed between the two tests was the method of Anti-Aliasing. 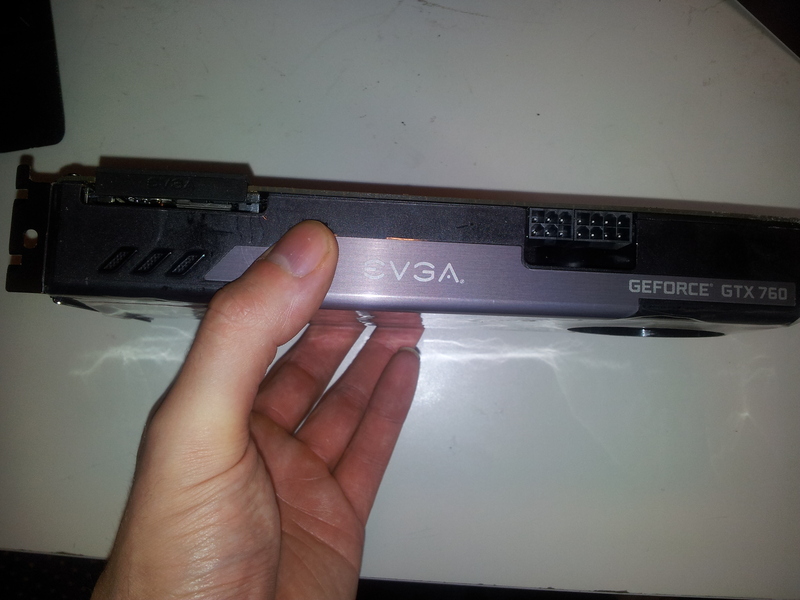 GTX 760: Unsurprisingly, 1080P posed little trouble for the GTX 760 – hitting 40FPS for the most part at 1080P. unfortunately things weren’t quite so rosy at 1440p. Despite using the less taxing FXAA we hit the 2GB of VRAM usage of the GTX 760. The same story with sleeping dogs plays out here – you’ll likely be unable to play 1440P comfortably anyway (since it typically stays just shy of 30FPS), but the high VRAM usage isn’t ideal. AMD R9 280: the familiar trend of the R9 280 being just a few frames per second higher than its rival. It’s worthy of note that the extra RAM does play out here at higher resolutions. If you’re considering crossfiring or SLIing down the line to play at higher resolutions, you should certainly factor this in. Metro Last Light was demoed using the built in benchmark, with Nvidia’s hardware Physx and SSAA disabled, while everything else was turned to its highest, and motion blur set to ‘normal’. While it’s technically possible to play at 1440P on either of these cards, you’d likely be gritting your teeth at points as the frame rate hit the high 20’s, which isn’t the best way to play the game. Instead, for Metro Last Light we’d recommend sticking with 1080P and cranking the settings up. GTX 760: The GTX 760 managed fairly respectable performance here, hitting an average of 41FPS at 1080P. Important to note was memory usage for Metro Last Light during the benchmark was considerably lower, barely hitting 1GB during the test at 1080P. Clearly playing with SSAA is ill advised, but enabling FXAA wouldn’t hurt frame rate enough to not do so. The min frame rate hit a mere 15 FPS. AMD R8 280: Despite Metro Last Light supporting Nvidia’s hardware Physx, the title does run a little nicer on the R9 280, hitting 47 FPS on average of the benchmark. It’s not a massive difference, but does manage 19 FPS min during the most intensive part of the benchmark. One of the biggest titles from last year, and if you’ve been waiting to play the game at the highest possible settings then good news. Both cards are more than capable of providing excellent performance even at 1440P, but you’ll likely have to sacrifice AA a little. Nvidia Geforce GTX 760: 1080P is of course not a problem, with DDOF and all options set to their highest we see an average of almost 64 FPS. Pretty damn impressive really. AMD R9 280: here we see a situation where the R9 280 hits 64.8 FPS, which is within the margin of error of performance really when compared to the GTX 760. The latest (currently – until Arkham Knight is released) version of the Batman Arkham Games didn’t have RockSteady at the helm, but still uses the same engine. For these tests we used the handy dandy built in benchmark and the results are pretty pleasing. There’s little reason at all using these cards you’ll have to settle for anything less than the highest quality. We’ve disabled Nvidia’s Hardware Physx here. Because this title isn’t too demanding, there’s little incentive to use FXAA (even at the highest settings) and therefore 4X MSAA is used. GeForce GTX 760: The minimum frame rate here is 53FPS, and manages an average of 78. This is despite the 1080P MSAAx4 max quality. Truthfully there’s easily scope here to push for 1440P. A test shows the game running at 47FPS average in 1440P and MSAAx4. Radeon R9 280: As we’ve mentioned above, the Unreal Engine powering Batman Arkham Origins isn’t that taxing, and just like Nvidia’s card, AMD’s R9 280 flexes sufficient muscle to make the title a non-issue. The minimum frame rate achieved is identical to the GTX 760, 53FPS, but the average FPS hits 83. The remake of a PC classic, and while it doesn’t quite capture the glory of the original it has perhaps been unfairly criticized. The PC version also sports much prettier graphics (and a more solid frame rate) than either the PS4 or X1 can muster. We’ll be playing at 1080P, with all of the settings at their highest (but using only FXAA) and using the built in benchmark as it’s easy to repeat. GeForce GTX 760: The min frame rate the benchmark reports is a respectable 31.5 FPS, but hits a rather nice 52.2 FPS for an average. If you’re happy to settle for a slightly lower frame rate you could certainly add in extra Anti-Aliasing, but we feel this is the best compromise in both performance and visual quality. The shadows are nicer than console, a better frame rate – what’s not to love? AMD R9 280: AMD’s cards are a little trickier to benchmark here – as there are two different renders available. The first would be D3D11, and the other would be the much touted Mantle API. 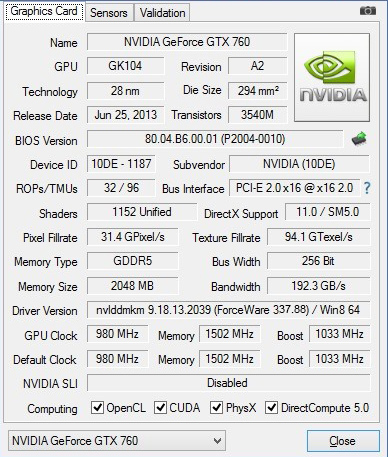 Keeping the exact same settings as Nvidia, we see a slight boost over the GTX 760. 55.8 FPS for the average, and 33.7 FPS for the min. A very slight win to AMD, but the difference is hardly anything to write home about. Using Mantle however and the story is very different. I was a little skeptical if there’d be much of a boost with the R9 280 and Mantle, and I’m happy to be proven completely wrong. While the ‘average’ frame rate of 70.4 is exciting, to me the 48.8 min frame rate is by far the more crucial. While the D3D results were pretty similar, in games which support Mantle and you own an AMD card, it’d be pointless to not use it. Certainly one of the more infamous tests out there, FireStrike is pretty configurable which makes it ideal to test with. For our tests we go with the standard Firestrike, rather than the ‘extreme’ setting which is designed to torture the highest of spec PC’s. We’ve disabled all the physics tests, and left just the graphics tests enabled – for fairly obvious reasons. Nvidia’s GeForce GTX 760 manages to scrape in at just over 6K, hitting 6021. it’s a pretty damn respectable score, but AMD’s Radeon R9 280 takes the gold by obtaining 7219. Clearly the difference in this synthetic benchmark doesn’t mirror real life performance you’d experience during gaming, but for those who care about benching (since Firestrike is so popular) it’s a nice bonus. Overclocking modern day graphics cards is easy. While of course your mileage certainly will vary (depending on silicone lottery, ambient room and case temps, cooling methods, PSU and several other factors) a rule of thumb is you’re able to push the overclock to about ten percent higher. With that said, what can we get out of the cards and what difference will overclocking them make? The GTX 760’s default clock speed for the core is 980MHZ (boosting up to 1033) while the default memory clocks are 1502MHZ (6000MHZ effective). Not bad, but what can we actually get out of them? Using EVGA Precision X we pushed the power target up to the limit (115 percent) and bumped up the clock frequency for both the core and memory up by 150MHZ. Metro Last Light at 1080P managed 47.5FPS while overclocked, a nice boost from the performance of the clocks. Firestrike meanwhile hit to score 6675, which is a respectable improvement over the stocks scoring of 6021. The HIS R9 280 meanwhile managed to be pushed up to 1125 for the core, and we ran with 1440 for the RAM. We used MSI’s Afterburner to unlock the core voltage, and pushed it to 1399 mV, and the power limit all the way to 20 % (the max). Metro Last Light at 1080P hit 54.49 FPS, over the 47 FPS we got from stock. Firestrike reached 8415, up from 7219. If you’ve been paying attention to the GPU market within the past 12 months, you’ll know that Nvidia and AMD are both pushing new technologies. Nvidia have G-Sync and of course hardware Physx. 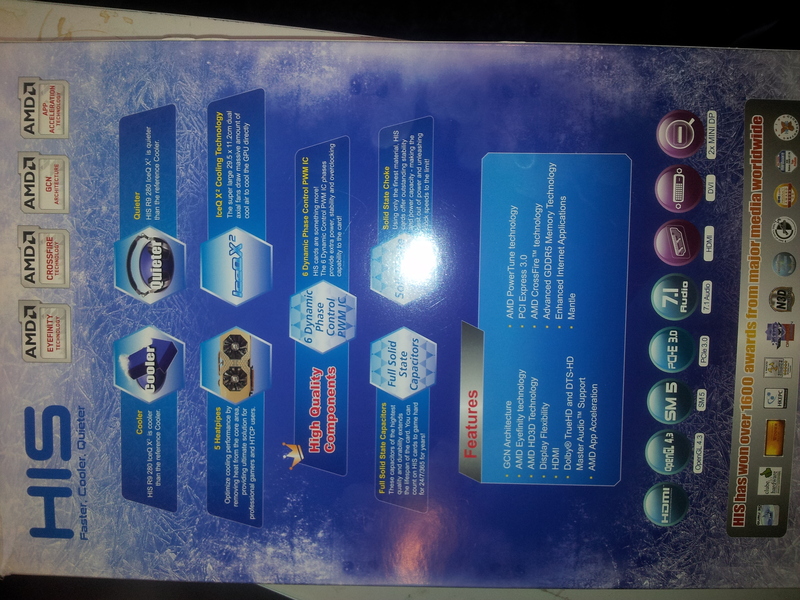 AMD meanwhile are trying to push their Mantle API and True Audio technology. It’s very difficult to ‘buy’ for the future, but Mantle is certainly appearing to be extremely promising. We’ve got to say during testing we weren’t expecting such a big jump in performance, particularly given the R9 280 is a middle of the road part. And yet, there you have it, over 70 FPS in Thief with everything at max. TrueAudio’s future is somewhat less known. The upcoming Thief is confirmed to use it, but one or two titles isn’t enough to sway a decision over a graphics card. Meanwhile Nvidia’s G-Sync has been released and does a great job of both eliminating screen tearing and reducing latency which is associated with V-Sync enabled. Those who have used the technology are reluctant to go back to their old screens, but currently the selection of screens its available for is limited. In addition to this, it adds to the price of a new monitor. AMD and VESA are soon to be offering their own versions of the technology, which does take some of the wind out of Nvidia’s sails. Personally, I’m a fan of Nvidia’s hardware Physx technology, in certain games it adds a lot to the atmosphere, such as the wisps of smoke in Assassin’s Creed 4 Black Flag. There are other effects in Metro Last Light, such as debris and dust, and so on. It’s a nice extra, and for someone like myself who regularly makes graphics comparisons it’s a nice extra. For most gamer’s though they’re willing to do without it. The GTX 760 could certainly enable it in say Batman, but Metro Last Light (and other titles) will suffer in performance. It’s not a huge win, but ‘looks nice’. Meanwhile AMD’s TressFX technology (at least currently) works on Nvidia’s cards along with AMD’s own. Unfortunately TressFX hasn’t been widely adopted yet, likely because it’s so GPU intensive. Even TressFX 2 takes a huge toll on the consoles with Tomb Raider Definitive Edition. The answer here is that you shouldn’t buy either the R9 280 or the GTX 760 on their respective technology, but Mantle is impressive if you’re wanting to squeeze everything out of your card. Bare in mind that there’s a growing list of developers who’re using Mantle too. Let’s just be honest here, both cards are very impressive given their price range. You’re effectively getting cards which are capable of demolishing 1080P (and bettering next generation console graphics and frame rates) for around £180. AMD’s card does provide nicer frame rates on average – so they take the clear advantage. The lack of Downsampling support for AMD is a shame – but how practical downsampling is with the GTX 760 or R9 280 is questionable. They aren’t designed to run in 1440P, so despite some titles such as Batman running okay, more demanding titles certainly suffer. With the GTX 760, we’d experience a few “out of memory” issues at 1440P too. These happened in Thief and Crysis to name a few. For more info on this, check out the memory usage of our GTX 780 Ti review. AMD’s card gets the nod due to the slight performance boost over the GTX 760, and Mantle is likely to be more important – better speed is crucial on a mid range part. 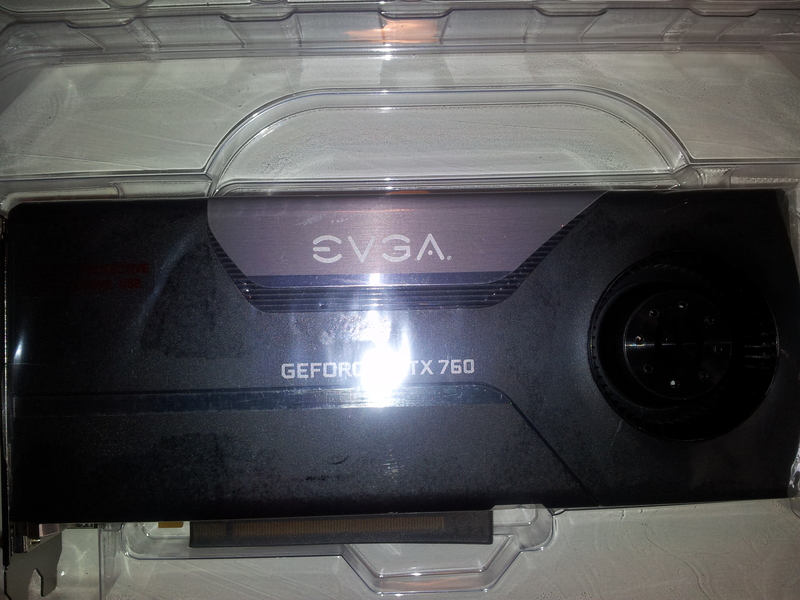 That being said, the GTX 760 is fantastic card in its own right, and you’re not going to be disappointed with either. 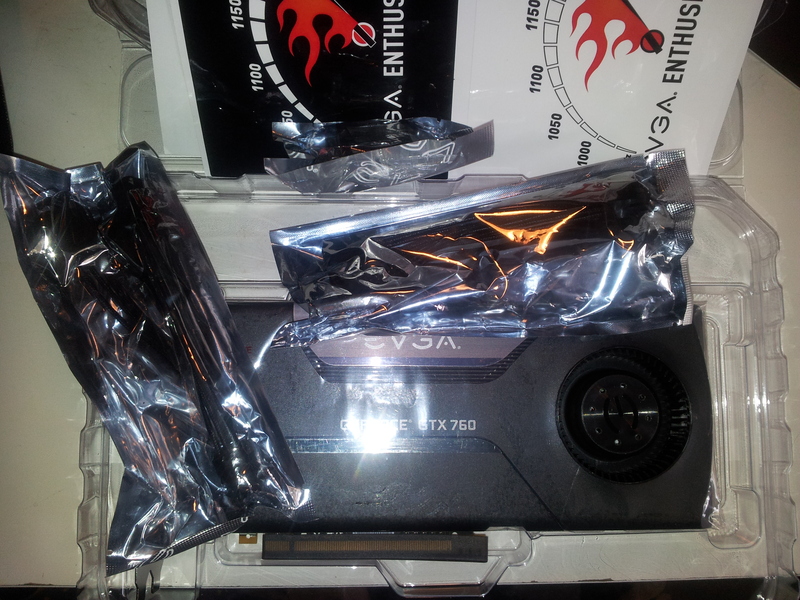 If you’re interested in reading a review on the Tonga based Radeon R9 285 versus the 280 and GTX 760, click here. 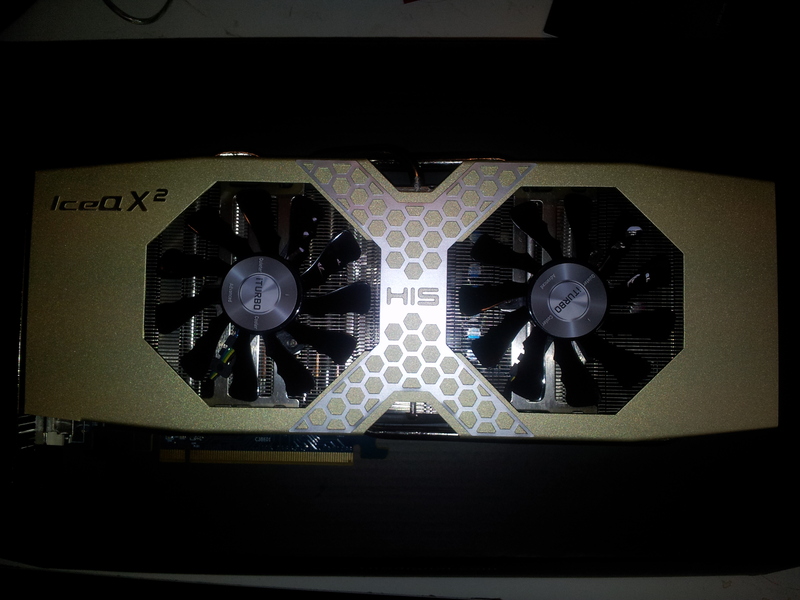 AMD have kindly offered to provide a HIS R9 280 ICEQ X2 for a competition when they provided the review sample of R9 280. To win, you need to share either this Twitter post or this facebook status. Winners will be announced on the 25th July, 2014. Please note that the winner will be mentioned in a video on the channel, and a post on FB / Twitter so please keep an eye out. Obviously you must be comfortable providing your name and postal address. You will not be spammed, this will be passed directly on to AMD for them to ship the card over to you. This article was filed under Features, Gaming News, Hardware, PC Gaming News. Tagged with AMD, AMD Mantle, AMD R9 280, amd vs nvidia, benchmark, geforce, Geforce gtx 760 vs r9 280, gtx 760, Mantle, nvidia, R9, R9 280, review.